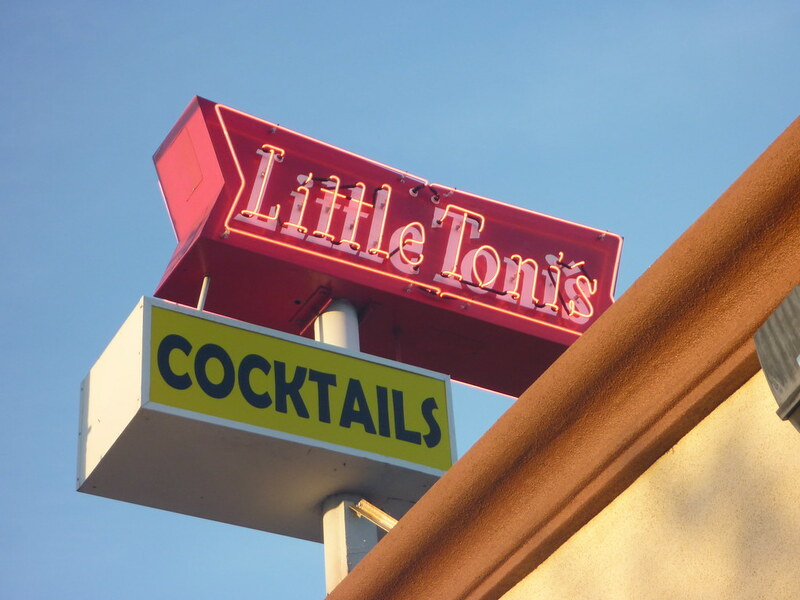 Mod B was flippin through her snapshots of a visit to Los Angeles and since she's not "goin back to Cali" any time soon, she asked West Coast Retro Roadmap Reporter Keith Valcourt to check up on Little Toni's for her. Thanks KV! Old school Italian joints are easy to find on the East Coast. Something I took for granted all the years I lived in New York and New Jersey. 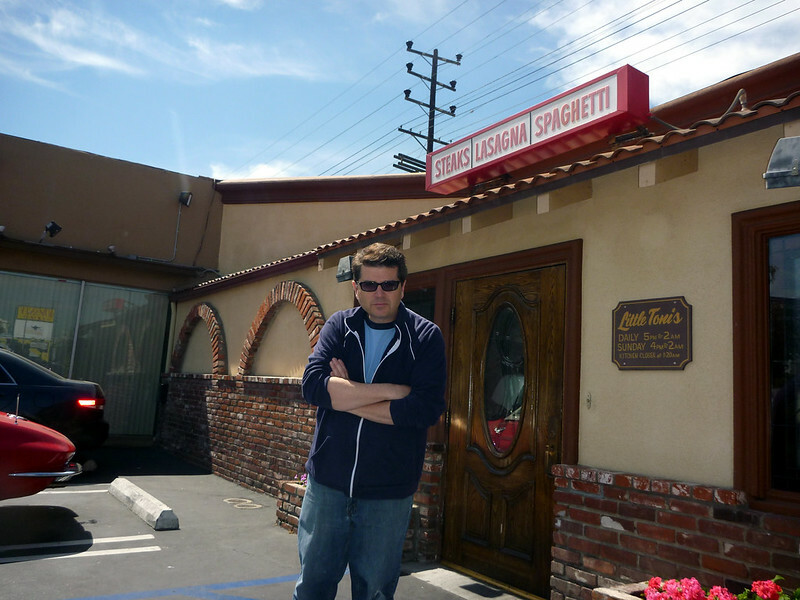 But locating an authentic old school Italian eatery in California? Fuhgettaboutit! That's what makes Little Toni's in North Hollywood such a find. And not much has changed since '56. The place serves up delicious reasonably priced Italian eats in a friendly family environment. No fuss. No frills. Lots of flavor. The food is the main attraction here. 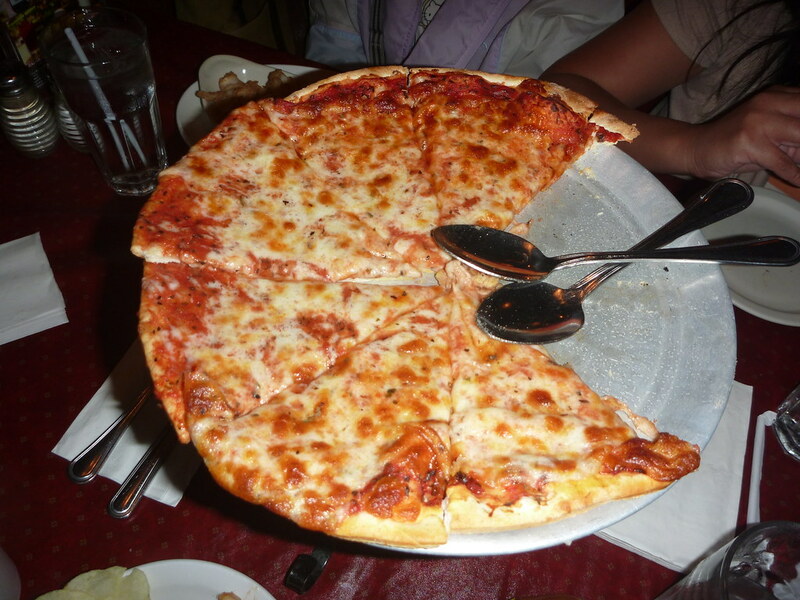 Little Toni's pizza (available in thin and thick crust variety) isn't just almost as good as New York good. It's actually New York good! The meatballs are moist and flavor packed and the bread is fresh out of the oven. My daughter loved the calamari as well. 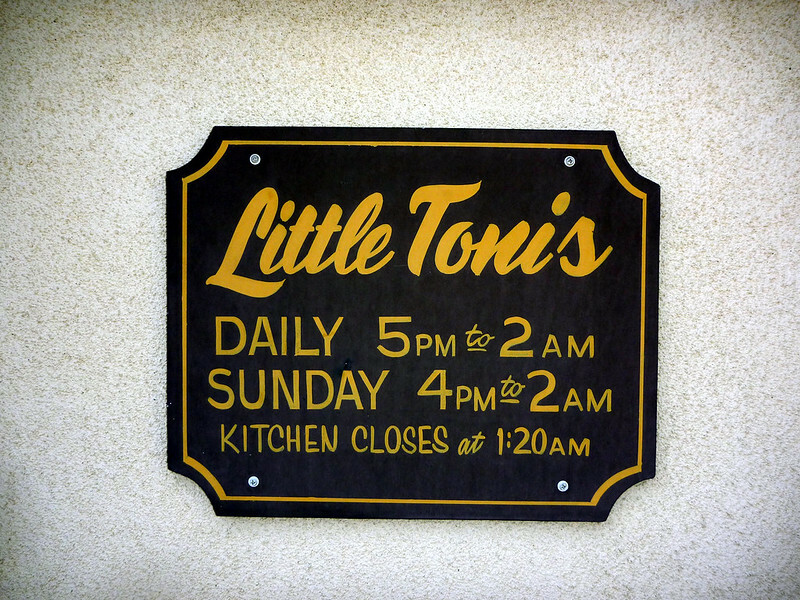 #1: Little Toni's is not open for lunch. That's a rookie mistake I made on my first visit there. The eatery is strictly for the dinner crowd. It opens at 5pm everyday except Sunday. On that day the early bird can take advantage of the 4pm start time. #2: The place is dimly lit. Okay let's be honest. It's dark. Many people (including me) were using the “Flashlight Apps” on their phones to read the menus. That also explains the lack of many photos of the interior in this report. Flash photography in this small of a space is not prohibited but sure is disruptive. 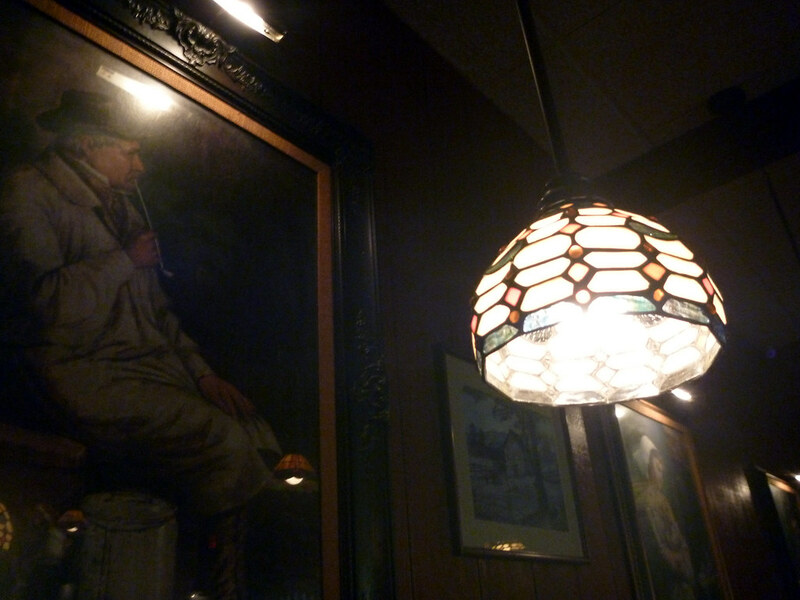 Even though you can barely see the cool decor (red leather booths and old time paintings) there is something comforting about the shady atmosphere. #3: Save room for desert. 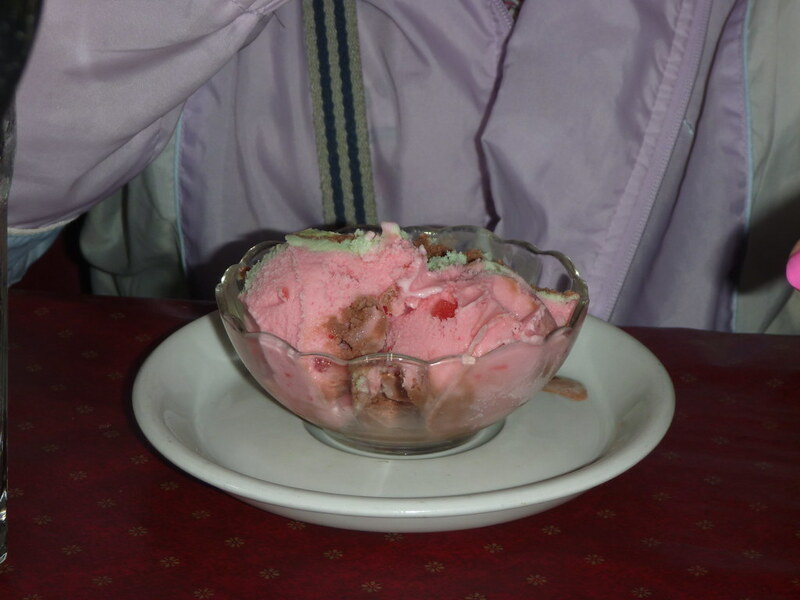 Perfect “Retro-Rific” hand scooped Spumoni is waiting for you at the end of your culinary journey and you don't want to miss it. Not hungry? Step into the intimate (less than 20 stools) Bartoni's for a cocktail and conversation with some old school Hollywood characters. 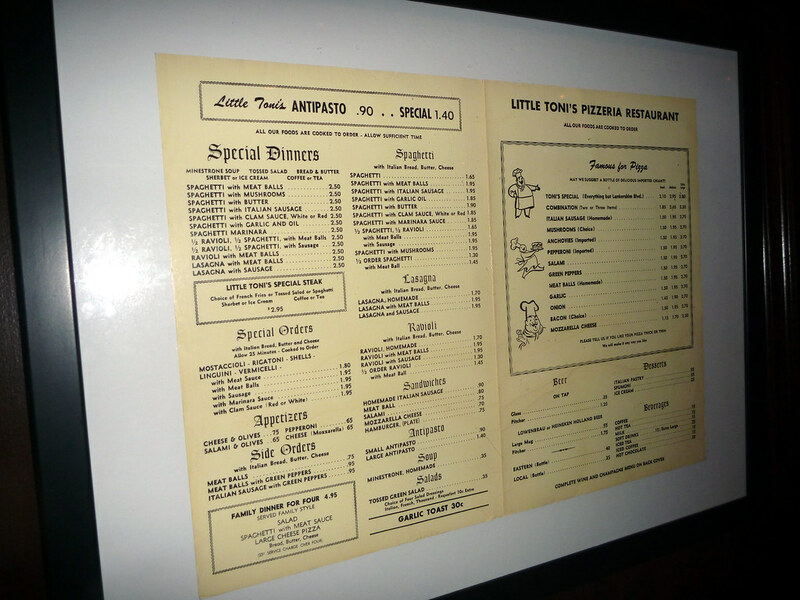 Make sure you check out the framed original menu on the wall. Man those prices were low! 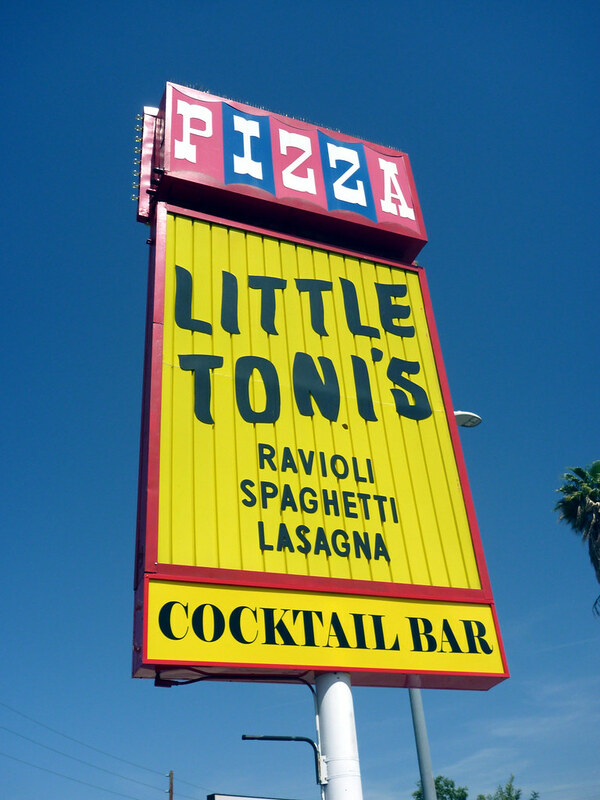 Little Toni's is perfect for someone craving a slice of old school East Coast Italian ambiance and tasty food. You gotta go!